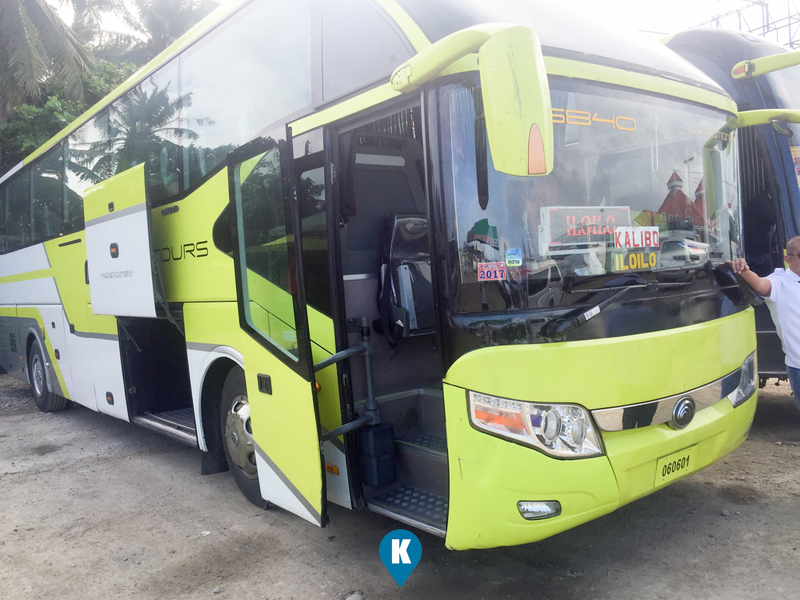 When you reach Caticlan Jetty Port from Batangas, going around the towns in Panay Island is easy with Ceres Transport. From the Jetty Port, one will just exit, walk towards your left and see the Ceres Terminal to go around the island. The terminal is just an unpaved parking lot with their buses parked side by side. Good thing it wasn't raining when we arrived, or else the path to the buses would be muddy. 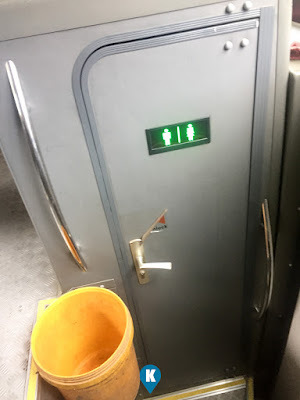 (Since technically its not a terminal, there are no public bathrooms - so do your thing at fast food restaurants that you will pass by going to their parking area). Among the parked buses there are those going to Iloilo via Kalibo and the other via San Jose. We took the one going to Kalibo to attend the Ati-Atihan. The bus was already running its engine and airconditioning so it was nice welcome when we went in. The bus was not full, in fact the other bus just left so this was empty. We were the first passengers in, we were able to choose which seats to take. We took the one right after the restroom, this offers the best legroom and no seats in front. Very roomy these seats are. The bus was clean, and sweet smelling. The seats were comfy and the reclining functions were working (although some buses we took later had defective seats). Being tourists, we are always asking questions. 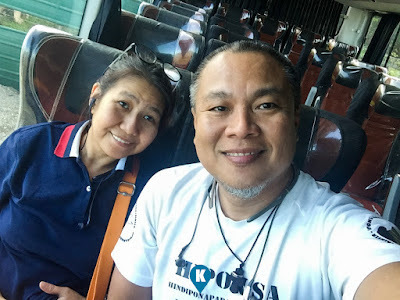 Where are we getting off, how long will it take, how about about bags, where will be keep them, when are we leaving for Kalibo. Even with the thousand questions, their conductor and driver were courteous enough to answer them with with confidence. Fare from Caticlan to Kalibo was Php121 each and this was their regular airconditioned bus. Unlike those buses travelling north of Manila, this had a restroom, and a working toilet at that. These are considered deluxe buses already. What a treat this is for Ceres to offer this are regular fare rates. 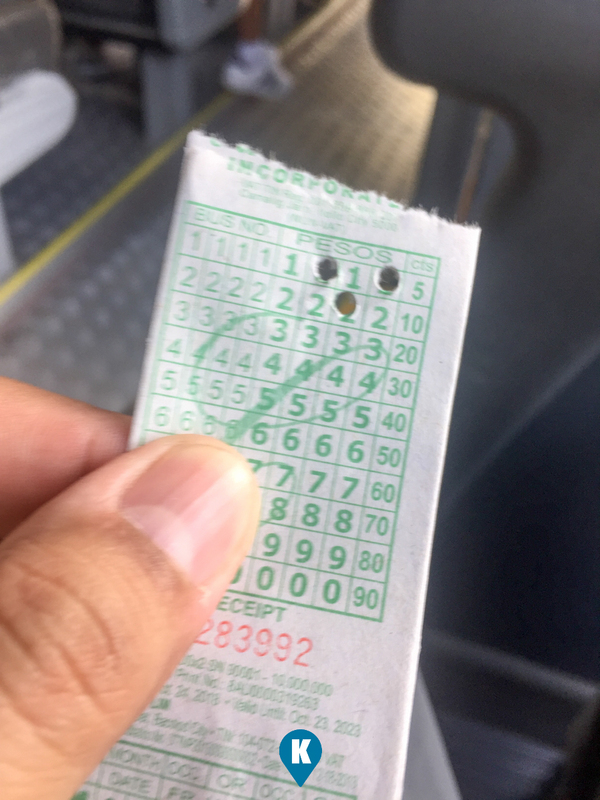 (I asked the conductor how much is the fare to Ilo-Ilo, Php360+ which was still cheaper by Luzon standards). 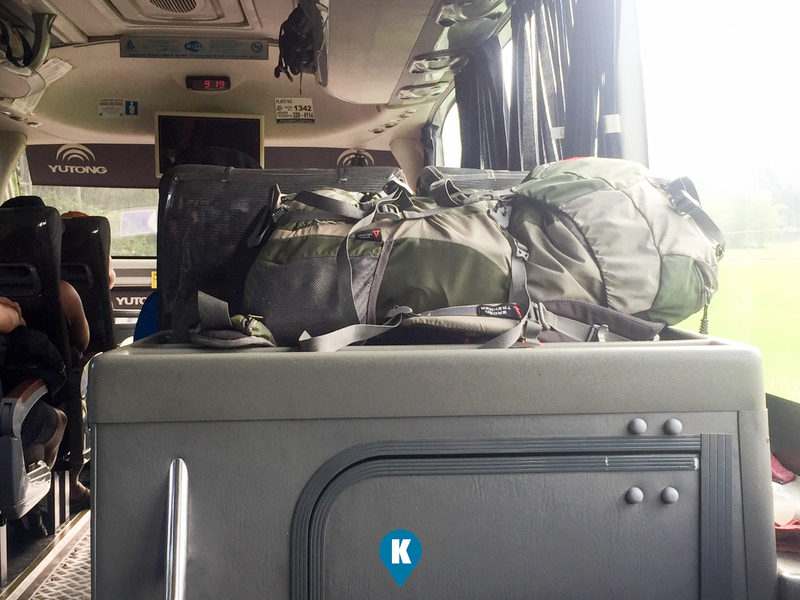 The buses leave the port in timely intervals so our bus wasn't full when we started our journey. It however the bus picked up passengers along the way. Even so, it wasn't much of a hassle. Travelling from Caticlan to Kalibo is a great ride. You will see the cliff on your left overlooking the coast of the island. Great view if you ask us. We were supposed to sleep but ended up gawking at the view of the sea. A short one and a half hour to Kalibo, it was a pleasant ride all the way. We had a great experience here that we decided to use Ceres in all our travels on the Island. Yes there are a lot of modes of commute here, the UV Express (or vans they call them), jeepneys and mini buses, but riding the Ceres proved to be the most comfortable. We took their buses on our way to Roxas City. Although there's no direct route here, we had to take connecting buses, a hassle maybe but we valued comfort above all. We took their bus as well when we went to Pandan, Antique. They do have a good grasp of the routes here and maybe its a bit more expensive than the other modes of commute, should safety and comfort is your thing, then Ceres is it. (They also have buses plying the routes from Manila to Caticlan - land travel through Mindoro - but we don't recommend it outright. Costs Php1,300 and travel time is 12 hours, we do however suggest getting a 2Go boat instead from Batangas Port. Roughly the same amount of fare and offers slightly faster travel time of 9 hours, and you are not cramped in your seat when you take the boat). My backpack sits well on top of the restroom.